TV Shows | I love nothing more when I'm on my period than snuggling down with a blanket and a book, but sometimes I just want to do as little as possible and put on a TV Show which I can binge watch. My current obsession is Don't Tell The Bride (how it took me that long to watch it I have no idea) and Gossip Girl. They're easy to watch shows that put a smile on my face in an instant. Other favourites include: Bad Education, Drifters, and Gilmore Girls. An Emergency Kit | I always put together a kit of emergency spares from tablets to a comfy pair of knickers. I like putting them into a little zip up bag and popping it in my bag so that I know it's there whenever I need it. Comfort Food | I know you're probably expecting me to mention some sort of chocolate, but for me, comfort food is general makes me feel better. A steaming hot jacket potato with extra cheese or even toast, my absolute favourite when I need a snack. I love stocking up on crisps, pasta and lots of veggies during my period. A Few Of Your Favourite Things | You've probably realised that one of this post pretty much involved having a bit of anything you fancy whilst on your period. 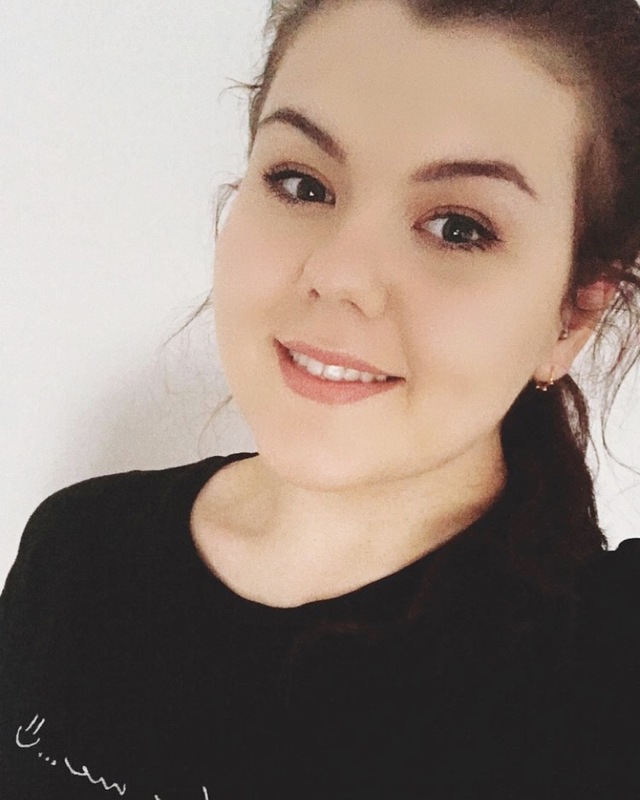 I like feeling comfortable, so my hair usually goes up in a high bun and I love to wear loose, baggy bottoms - My favourites are currently a pair of Primark Harry Potter ones! I also love to delve into a great page turning, buy myself a bunch of flowers or give myself an afternoon to pamper and paint my nails. 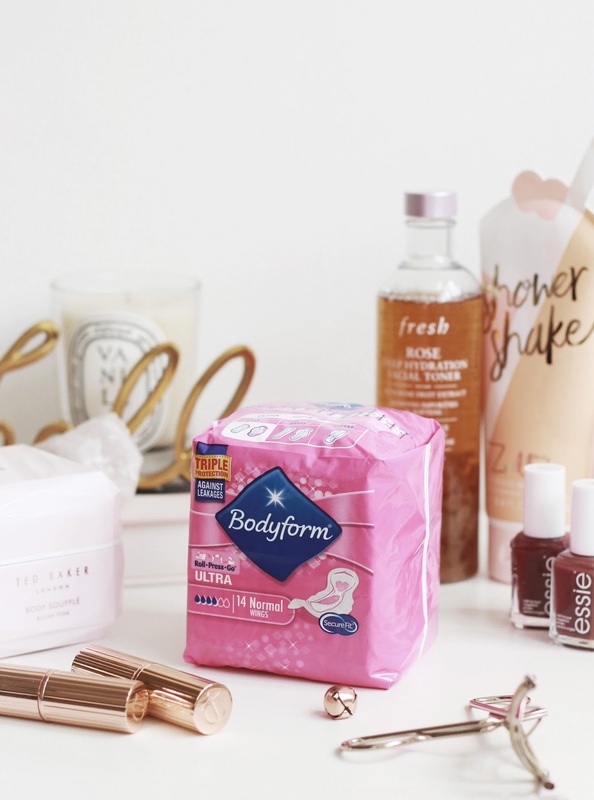 Bodyform | Bodyform was the first brand I ever used when I started my period, so I can't help but be drawn to them. One of my essentials is towels, especially during the first one or two days as to me, they feel more comfortable to wear. Being quick and easy to use too, I would recommend popping one into your emergency kit too. Bodyform are currently running a campaign to encourage women to share their experiences and break the period taboo. For me, I used to struggle with having my period as I often felt embarrassed especially during the school day and as a 9 in 10 girls say they have gone to great lengths to hide their periods, I must have not been alone in this struggle. As someone who started their period young, I struggled initially with trying to be discreet and wanting to make as little sound as possibly when in the toilet. If I could go back, I would tell my younger self to talk to peers and those who I trust about my questions and concerns because it would have made me more comfortable with having my period. Have you ever tried to hide your period?